Under Armour, the sportswear brand, is building on its training-focused 'Rule Yourself' global campaign with three new films. ‘Rule Yourself’ was introduced last year with a spot showing three US athletes multiplying into an athlete army as they train and finishing with the line ‘You are the sum of all your training’. 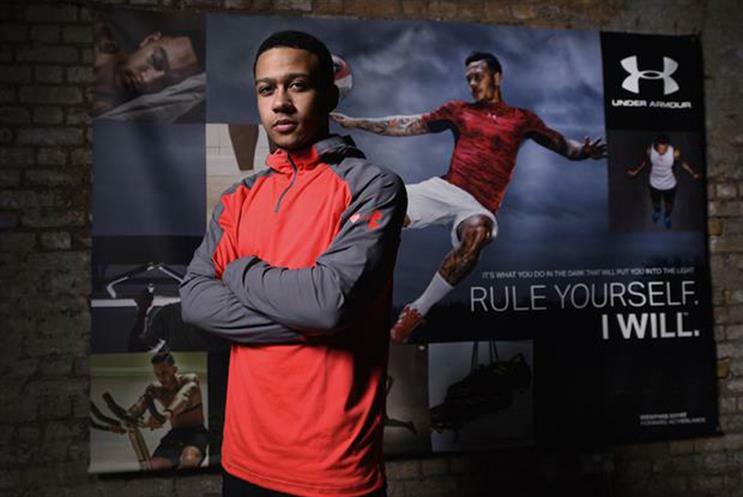 The campaign’s next stage changes that line for ‘It’s what you do in the dark that will put you in the light’, which will be illustrated for UK audiences by an ad starring Manchester United footballer Memphis Depay. Meanwhile, US audiences will see an ad featuring members of the USA women's gymnastics team, who will be competing in the Rio Olympics this summer. The new films are "the natural evolution of Under Armour’s training ethos", said senior vice president of global brand marketing, Adrienne Lofton. "As a company built by athletes, we truly understand an athlete’s never-ending quest to reach greatness and we want to showcase and honour their sacrifices." The third film, featuring world championship swimmer Michael Phelps, will debut in March. All three films, like last year’s spot, were created by Droga5.